The University of Washington Harborview Burn Center, directed by Dr. Nicole Gibran, is a regional burn center. Patients with severe burns from 5 surrounding states are sent to Harborview for special care. Harborview has pioneered a number of advanced treatments (e.g., early skin grafting). As a result of advances here and elsewhere, the chances of surviving a bad burn, and quality of living for survivors has improved dramatically over the past 20 years. Unfortunately, the amount of pain and suffering experienced by patients during wound care remains a worldwide problem for burn victims as well as a number of other patient populations. When patients are resting (most of the time), opioids (morphine and morphine-related chemicals) are adequate for controlling their burn pain. In sharp contrast, during wound care such as daily bandage changes, wound cleaning, staple removals etc., opioids are not enough, not even close. 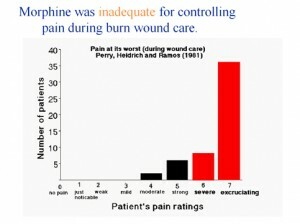 As shown in the figure, over 86% of the burn patients reported having severe to excruciating pain during wound care (shown in red), even when standard levels of opioids were used. The pain management techniques in use are not good enough. Patients are suffering, a fact particularly disturbing when the patients are children. In 1996, Hunter Hoffman and David Patterson co-originated the new technique of using immersive VR for pain control and began collaborating with Sam Sharar, MD shortly thereafter. Hunter is a VR researcher from the U.W. Human Interface Technology Laboratory with a background in human cognition and attention. Since 1993 he has been exploring ways to increase the illusion of going inside virtual worlds (presence), how VR affects allocation of attentional resources, and therapeutic applications of VR. Patient using SnowWorld pain distraction at Shriners Children’s Burn Center Galveston. Professor David R. Patterson studies psychological techniques (e.g., hypnosis) for reducing severe acute burn pain of patients at Harborview Burn Center in Seattle. David is head of the Division of Psychology of the U.W. Dept of Rehabilitation Medicine. He is a recipient of the Milton H. Erickson Award for Scientific Contributions to Hypnosis, and has a grant from NIH to study VR burn pain control. Our interdisciplinary research team is using VR adjunctively, In addition to traditional opioids. This UW/Harborview clinical team includes Sam Sharar, Gretchen Carrougher, Mark Jensen, Maryam Soltani, Aubriana Teeley, Dolly Morse working with dedicated staff at Harborview Hospital. 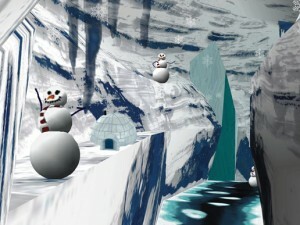 SnowWorld, developed at the University of Washington HITLab in collaboration with Harborview Burn Center, was the first immersive virtual world designed for reducing pain. 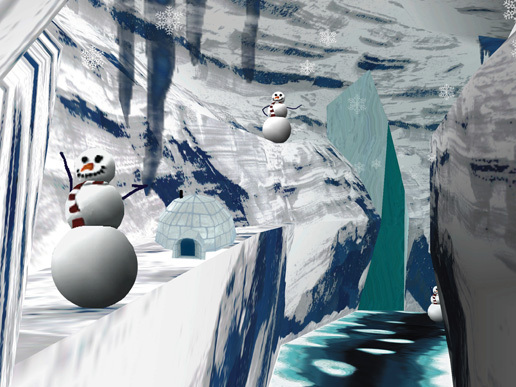 SnowWorld was specifically designed to help burn patients. Patients often report re-living their original burn experience during wound care, SnowWorld was designed to help put out the fire. Our logic for why VR will reduce pain is as follows. Pain perception has a strong psychological component. The same incoming pain signal can be interpreted as painful or not, depending on what the patient is thinking. Pain requires conscious attention. The essence of VR is the illusion users have of going inside the computer-generated environment. Being drawn into another world drains a lot of attentional resources, leaving less attention available to process pain signals. Conscious attention is like a spotlight. Usually it is focused on the pain and wound care. We are luring that spotlight into the virtual world. Rather than having pain as the focus of their attention, for many patients in VR, the wound care becomes more of an annoyance, distracting them from their primary goal of exploring the virtual world. In our preliminary case study (published in the medical journal “Pain”), two patients with severe burns were studied. Patient 1 had five staples removed from a burn skin graft while playing Nintendo, rated his pain, and six staples removed from the same skin graft while in VR, and rated his pain again. He reported dramatic reductions in pain during VR. Patient 2 (treatment order randomized) was a bigger challenge. He had a severe burn covering over 33% of his body. Encouragingly, as shown in the graph below, patient 2 also showed large reduction of pain during wound care while in VR compared to while playing a video game. In all of our VR pain control studies, patients, (especially children and teenaged burn patients) have shown enthusiasm about participating. The effectiveness of virtual reality pain distraction has now been documented in a small but growing number of clinical studies published in peer-reviewed medical journals. Water friendly virtual reality goggles funded by the Washington State Firefighters Fund, Ross Chambers, and the Scan|Design Foundation BY INGER & JENS BRUUN. This fiberoptic VR helmet developed by our team allows patients to go into virtual reality while getting wound care/debridement/bandages changed in a hydro tank, partially submerged in water (Clinical Journal of Pain). A related magnet-friendly VR goggles have allowed us to study the neural correlates of VR pain reduction. Christopher Maani MD, Chief of Anesthesia at Brooke Army Medical Center Institutes of Surgical Research in San Antonio, is exploring the use of VR pain distraction in soldiers injured in combat. Luckily, VR was most effective for patients who needed it the most. During painful wound cleaning procedures, soldiers with the highest pain during treatment as usual (“no VR”) showed the largest reductions in pain during VR. Click here to see an interview with a young U.S. soldier burned in Iraq. With funding from NIH (Dave Patterson PI), our team centered at Harborview Burn Center in Seattle is now conducting multi-site clinical trials on pediatric burn patients who receive VR for 10 days in a row, in collaboration with Dr. Walter Meyers at Shriners Hospital for Children Galveston, (and researchers at Shriners Boston). With NIH funding and essential donations from individuals and charities, we are also conduct laboratory pain studies at Sam Sharar MD’s pain lab at the UW Dept of Anesthesia, at the HITlab and Eric Seibel’s Human Photonics lab at UW Mechanical Engineering. These studies are helping shed light on how to make VR more effective, by improving our understanding of how VR works (mechanism). Private donations from you are crucial for accelerating the translation of VR distraction from research tool into clinical practice (ie., private donations will help make VR accessible to severe burn patients). This research is contributing to a paradigm shift towards heavier reliance on non-drug pain control techniques. You can help. (TAX DEDUCTABLE and any amount is great, thank you!). Our unusual interdisciplinary team of researchers on the University of Washington’s VR pain distraction project includes VR experts, pain experts, clinical doctors/nurses, physical therapists, occupational therapists, research coordinators and even brain scan experts. 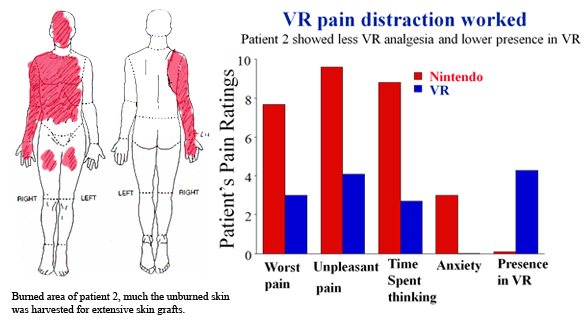 Although caregivers currently rely almost exclusively on pharmacologic analgesia, results of the this VR project are drawing attention to the potential of non-traditional psychological pain control techniques for adjunctive treatment of extreme pain during medical procedures (VR can be used on top of conventional pain medications). 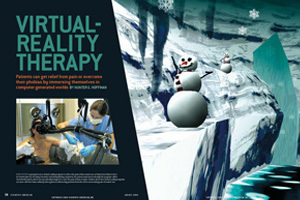 “Virtual Reality Therapy” article published in Scientific American Magazine (see also www.sciam.com), UW Medicine article, and a VR Review paper. Hoffman, H.G. ; Chambers. G.T. ; Meyer. W.G. ; Arceneaux, L.L. ; Russell, W.J. ; Seibel, E.J. ; Richards, T.L. ; Sharar, S.R. ; and Patterson, D.R. “Virtual reality as an adjunctive non-pharmacologic analgesic for acute burn pain during medical procedures.,” Annals of behavioral medicine : a publication of the society of behavioral medicine, vol. 41, iss. 2, pp. 183-91, 2011. Maani, C.V; Hoffman, H.G. ; Morrow, M.; Maiers, A.; Gaylord, K.; McGhee, L.L. ; and a DeSocio, P. “Virtual reality pain control during burn wound debridement of combat-related burn injuries using robot-like arm mounted VR goggles.,” The journal of trauma, vol. 71, iss. 1 Suppl, p. S125–30, 2011. Hoffman, H.G. ; Richards, T.L. ; Coda, B.; Bills, A.R. ; Blough, D.; Richards, A.L. ; Sharar, S.R. (2004). Modulation of thermal pain-related brain activity with virtual reality: evidence from fMRI. Neuroreport., 15(8), 1245-1248. Hoffman, H.G. ; Sharar, S.R. ; Coda, B.; Everett, J.J.; Ciol, M.; Richards, T.; Patterson, D.R. (2004). Manipulating presence influences the magnitude of virtual reality analgesia. Pain, 111(1-2), 162-8. Hoffman, H. G.; Garcia-Palacios, A.; Carlin, C..; Furness, T.A. III; Botella-Arbona, C. (2003). Interfaces that heal: Coupling real and virtual objects to cure spider phobia. International Journal of Human-Computer Interaction, 15, 469-486. Hoffman, H.G. ; Garcia-Palacios, A.; Kapa, V.A. ; Beecher, J.; Sharar, S.R. (2003). Immersive Virtual Reality for reducing experimental ischemic pain. International Journal of Human-Computer Interaction, 15, 469-486. Hoffman, H.G. ; Richards, T.; Coda, B.; Richards, A.; Sharar, S.R. (2003). The illusion of presence in immersive virtual reality during and fMRI brain scan. CyberPsychology & Behavior, 6(3), 127-131. Hoffman, H.G. ; Richards, T.L. ; Magula, J.; Seibel, E.J. Hayes, C.; Mathis, M.; Sharar, S.R. ; Maravilla, K. (2003). 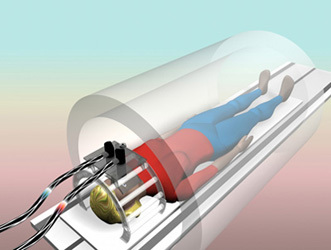 A magnet-friendly virtual reality fiberoptic image delivery system. CyberPsychology & Behavior, 6(6), 645-8. Steele, E.; Grimmer, K.; Thomas, B.; Mulley, B.; Fulton, I.; Hoffman, H. (2003). Virtual reality as a pediatric pain modulation technique: a case study. CyberPsychology & Behavior, 6(6), 633-8. Difede, J.; Hoffman, H.G. (2002). Virtual reality exposure therapy for World Trade Center post-traumatic stress disorder: a case report. CyberPsychology & Behavior, 5(6), 529-535. Garcia-Palacios, A.; Hoffman, H. G.; Carlin, C.; Furness, T.A. III; Botella-Arbona, C. (2002). Virtual reality in the treatment of spider phobia: A controlled study. Behaviour Research and Therapy, 40(9), 983-993. Hoffman, H.G. ; Patterson, D.R. ; Carrougher, S.; Nakamura, M.; Furness, T.A. III (2001). The effectiveness of Virtual Reality pain control with multiple treatments. Presented at Medicine Meets Virtual Reality, January, 2001, Newport Beach, CA. Garcia-Palacios, A.; Hoffman, H.G. ; Kwong See, S.; Tsai, A.; Botella-Arbona, C. (2001). Redefining therapeutic success with VR exposure therapy. CyberPsychology and Behavior, 4(3), 341-348. Hodges, L.F.; Anderson, P.; Burdea, G.; Hoffman, H.G. ; Rothbaum, B.O. (2001). VR as a Tool in the Treatment of Psychological and Physical Disorders. IEEE Computer Graphics and Applications, 21(6), 25-33. Hoffman H.G. ; Garcia-Palacios A.; Patterson D.R. ; Jensen M.; Furness T.A. III; Ammons W.F. Jr. (2001). The effectiveness of virtual reality for dental pain control: a case study. Cyberpsychology & Behavior, 4(4), 527-535. Hoffman, H.G. ; Patterson, D.R. ; Carrougher, G.J. ; Nakamura, D.; Moore, M.; Garcia-Palacios, A.; Furness, T.A. III (2001). The effectiveness of Virtual Reality pain control with multiple treatments of longer durations: A case study. International Journal of Human-Computer Interaction, 13, 1-12. Hoffman, H.G. ; Patterson, D.R. ; Carrougher, G.J. ; Sharar, S. (2001). The effectiveness of virtual reality based pain control with multiple treatments. Clinical Journal of Pain, 17, 229-235. Hoffman H.G, Patterson D.R. ; Carrougher, G.J. (2000). Use of virtual reality for adjunctive treatment of adult burn pain during physical therapy: a controlled study. Clinical Journal of Pain, 16(3), 244-250. Hoffman H.G. ; Doctor J.N. ; Patterson, D.R. ; Carrougher, G.J. ; Furness, T.A. III (2000). Use of virtual reality for adjunctive treatment of adolescent burn pain during wound care: A case report. Pain, 85, 305-309. Carlin, A.S.; Hoffman, H.; Weghorst, S. (1997). Virtual Reality and Tactile Augmentation in the Treatment of Spider Phobia: A Case Study. Behavior Research and Therapy, 35(2), 153-158. Riess, T.; Weghorst, S. (1995). Augmented Reality in the Treatment of Parkinson’s Disease. In Satava, R.M. ; Morgan, K. Proceedings of Medicine Meets Virtual Reality 95, pp. 298-302. Weghorst, S.; Prothero, J.; Furness, T.A. III; Anson, D.; Riess, T. (1994). Virtual Images in the Treatment of Parkinson’s Disease Akinesia. In Proceedings of Medicine Meets Virtual Reality II, pp. 242-243. 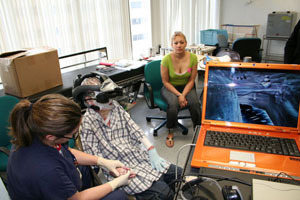 Immersive virtual reality pain distraction was originated and developed by Hoffman and Paterson at the University of Washington, Seattle and Harborview Burn Center. All images on this webpage are copyrighted. Please e-mail Hunter Hoffman for permission.